"Recent ethnohistorical research on the archaeological site of Kwiha in Tigray, from the Gembela-Hypothesis to the history of the Be'algada - a Mekelle University project"
The archaeological site of Kwiha is known to scholars since the early 20th century, but no excavation has been carried out so far, only surveys. The broken columns lying behind the modern Ch’erqos church, remnants of an Aksumite church according to local memory, are situated on a small plateau overlooking the plain of Dolo and the small fertile valley of Gembela leading to the outskirts of Meqele city in the lower plains. The small plateau of Ch’erqos is marked, according to a first survey carried out by Tekle Hagos in the 1990s, by numeros Aksumite structures. During this survey he also found the oldest Arabic inscription of Ethiopia so far, which we translated in 2013, belonging to a series of Muslim Arabic funerary inscriptions identified in recent years. Already earlier researchers had published a series of inscriptions, which show that this was the most important site of Muslims in the Christian highland kingdom of Ethiopia during the early years of Islam. This can be explained by its central position on the Red Sea trade route and the salt route. 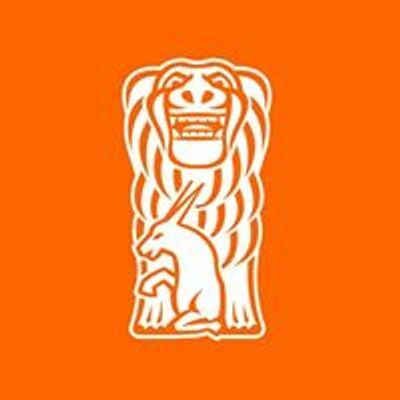 This is precisely why this site must have enjoyed a prominent position in the organisational space of previous states already, such as the Aksumite kingdom. A recent hypothesis suggests that this site is to be identified with the Gembela of the Aksumite inscriptions, a political centre. Kwiha kept its role as a regional political centre until the 19th century, being the seat of the powerful regional governor, the be’algada, whose exact compound had been identified recently. Mekelle University had set up this project several years ago, involving foreign cooperations such as with the French Centre of Ethiopian Studies (cfee) in Addis Abeba in order to assure long-term capacity-building. After visiting school in Bavaria, Germany, and Paris, France, national service at a university institute in Heidelberg, then from 1990 studies of history of philosophy and humanities, social anthropology and international law at the Free University (FU) of Berlin and Université de Genève (MA), followed by studies of African history, Ethiopian Studies and political science during employment as a researcher at Hamburg University (PhD in political anthropology). 1999 to 2010 researcher and lecturer at the Asia-Africa-Institute of Hamburg University and Assistant Editor of the Encyclopaedia Aethiopica (vols. 1-4, field specialist for vol. 5), author of about two hundred peer-reviewed encyclopedia articles and other articles, book chapters and monographs, with specialisation on the ethnohistory of populations and historical states of Northeastern Africa. After several shorter field research stays in Ethiopia, Eritrea and Tunesia, and extensive archive research in European countries, Egypt, Ethiopia and Eritrea since 1993, extensive DFG-funded field research in Tigray in 2004/05 followed by a book publication. 2010 to 2017 Associate Professor at the Department of History and Heritage Management at Mekelle University, Ethiopia, building up its new PhD programme (2013-17 PhD coordinator). Further field research in Djibouti and Somaliland, several guestprofessorships in Paris (2007, 2018), Rome (2015), Osaka (2017) and guestscholarships in Berlin, Gotha, Jerusalem, Bochum and Pavia. 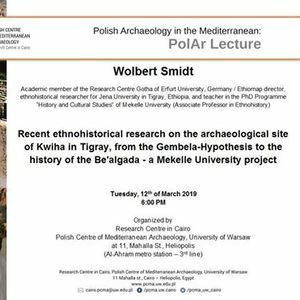 In 2014 elected Corresponding Member of the German Archaeological Institute (DAI), due to a cooperation of several years during excavation campaigns in Yeha and Wuqro in Tigray, focusing on ancient oral traditions and their interpretation. 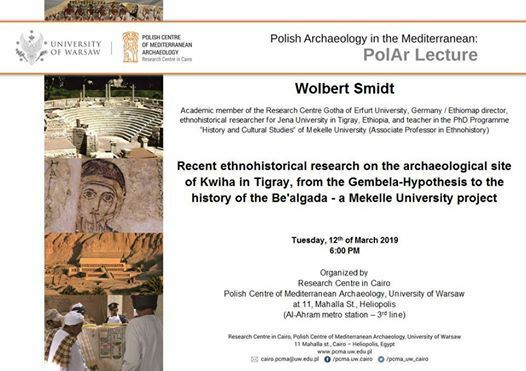 Since 2017 ethnohistorical researcher for Jena University in Germany in cooperation with the DAI and continued instructor and advisor in the PhD programme “History and Cultural Studies” at Mekelle University. The Research Center is located next to Al-Ahram metro station (the last station of the 3rd line – approx. 20 min of comfortable ride from the Attaba station).